STORRS, Conn. — Summer Hemphill missed the season opener. She missed the home opener. She missed trips to face then-No. 3-ranked Oregon and crosstown rival Canisius. But most of all, she missed her teammates. 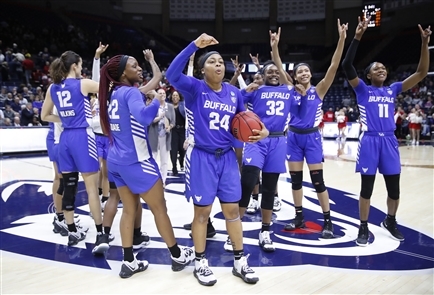 The University at Buffalo junior forward was academically ineligible for the first semester, which caused her to miss the first eight games of the season. Hemphill said that time on the shelf taught her a valuable lesson — to not take anything for granted — and her return has provided the Bulls a fearsome force in the frontcourt. The 6-foot-1 Hemphill, a Buffalo native and Cardinal O’Hara product, has been a key contributor to the Bulls’ run to a Mid-American Conference tournament championship and a third NCAA Tournament appearance in four years. The No. 10-seeded UB women will play No. 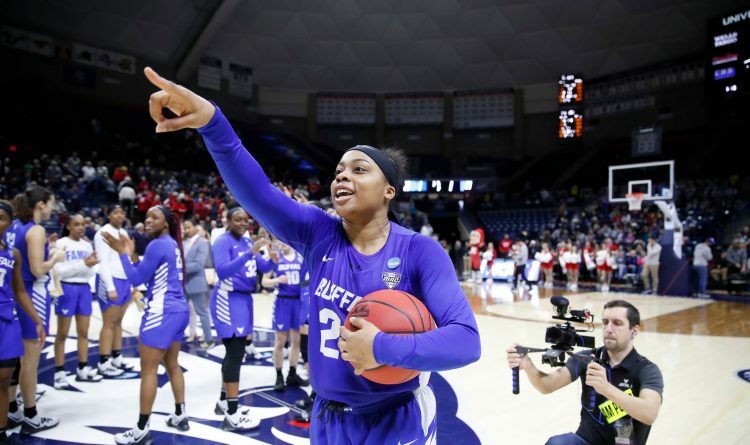 2-seeded and perennial powerhouse Connecticut in the second round of the NCAA Tournament at 7 p.m. Sunday at Gampel Pavilion. The Bulls are trying to advance to the Sweet 16 for the second consecutive season. Hemphill helped secure a berth in the NCAA Tournament by grabbing a MAC tournament record 21 rebounds in UB’s conference title game victory against Ohio, adding 16 points, four assists, two steals and a block. She was named to the all-tournament team, along with teammates Cierra Dillard and Hanna Hall. 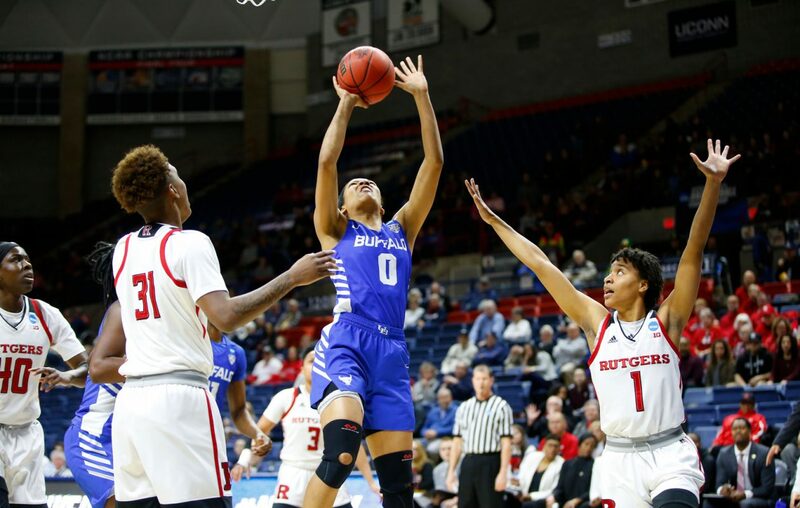 Hemphill additionally scored 12 of her game-high 23 points in the fourth quarter of UB’s first-round NCAA Tournament victory against Rutgers on Friday night. She also grabbed a team-high seven rebounds and had two assists, a steal and two blocks. UB posted a 6-2 record without Hemphill in the lineup. But her addition made a strong team much more formidable. Hemphill returned to the court on Dec. 18 for a 75-69 victory at Dartmouth, where she poured in a career-high 24 points and grabbed 14 rebounds. Hall said Hemphill rejoining the team was seamless. Hemphill also tied her career-high of 24 points in a MAC tournament semifinal victory over regular season conference champ Central Michigan. She went on to average a double-double this season, with 14.3 points and 10.6 rebounds per game. She’s recorded 13 double doubles this season.